Wagashi, a Japanese confection known as an Intangible Cultural Heritage, is now faced with extinction due to the reducing number of craftmen of its wooden mold. For consumers as well, it is difficult to have access to versatile wagashi around Japan with them fresh. 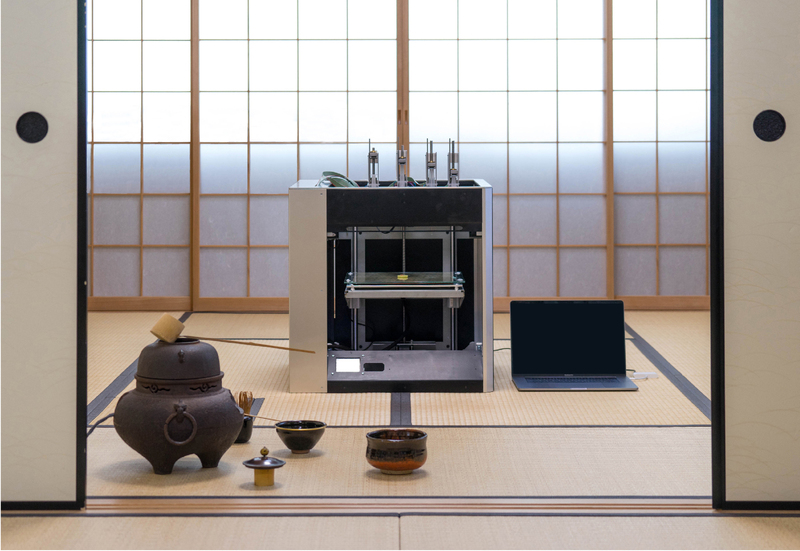 We propose wagashi 3D printer which can extrude four different pastes in one process without any wooden mold. This printer is the embodiment of our concept of anyone “printing” food anytime and anywhere.